The Tallaght man passed away in Tallaght Hospital on Saturday afternoon, with his son Graham later announcing his passing on Facebook. "Friends of Paddy, just to let you know, Paddy lost his short battle with cancer today shortly before 1pm in Tallaght Hospital," he wrote. "We will all miss him, may he rest in peace with his Nan. Enjoy the memory of his stories." Paddy Finlay was a mainstay of the Dublin St Patrick's Day parade for almost half a century and was renowned for his charity work. 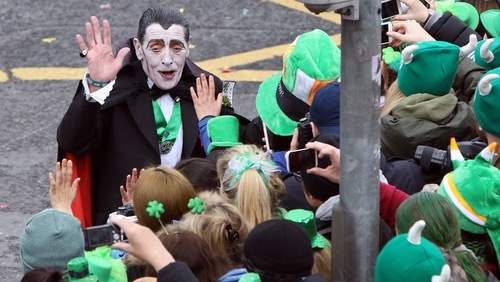 He did not appear at this year's parade due to illness. His funeral mass takes place in St Dominic's Church in Tallaght on Tuesday morning.